Law enforcement officers failing to identify hypoglycemia emergencies, mistaking them for intoxication or noncompliance. This can lead to the individual being seriously injured during the arrest, or even passing away because the need for medical care was not recognized in time. Individuals in short-term custody, for example, in police stations or jails before being charged with a crime, are denied all diabetes care, resulting in severe complications like diabetic ketoacidosis, which can develop in a matter of hours. Individuals serving their sentences receive inadequate care and develop serious complications like blindness, kidney failure, and loss of limbs as a result. The best way to address mistreatment is to prevent it by educating law enforcement agencies. American Diabetes Advocates throughout the country are helping to educate their local police and sheriff departments about how to best respond to people experience diabetes emergencies, and how to provide adequate care to them while in custody. 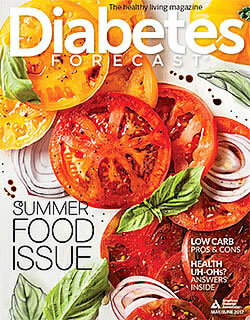 Read more about this in our Diabetes Forecast Article Helping First Responders Spot Lows. Download, print and carry the Association's medical alert card. In case of an emergency, it provides law enforcement officers and other first responders with critical information to help keep you safe. You may also order packets of 25 cards printed on cardstock at www.shopdiabetes.org. You pay only the cost of shipping. This card is also available in Spanish. People in detention may not be given a log to keep track of their blood glucose levels. With this tool, a detailed record of all blood glucose levels can be kept independently of whether or not the facility employees provide a log. Learn more about the different types of diabetes, blood glucose testing, common insulin regimes, complications and more. Many states are starting initiatives that permit incarcerated people to more easily connect to health care upon their release. For example, in some states, individuals can enroll in Medicaid while incarcerated so that benefits can begin immediately upon release. These guidelines only apply to the Bureau of Prisons. Managing security needs of the institution and the medical needs of inmates is a real concern, but these guidelines show that improved diabetes care in detention is possible. The Appendix has several inmate handouts that may be useful. From the Southern Poverty Law Center, this guide provides practical advice for managing diabetes in a very challenging situation. Complaints about diabetes care must be specific and well-documented. This document can be used to identify potential problems with diabetes care. Family members in particular can use this as a guide to determine what shortcomings in care there may be. The ACLU's National Prison Project provides many resources, including its Prisoners' Assistance Directory and many fact sheets on the rights of prisoners. If you have concerns about your treatment by law enforcement, the National Police Accountability Project provides many resources. The website includes a directory of attorneys who represent individuals alleging civil rights violations against law enforcement officers and agencies.